If you depended on Donald Trump’s tweets to learn about our immigration issues, you’d get a tremendously skewed idea of how migration works in this country—and the historical path we’ve taken to get here. Nonetheless, this much is true: Mexican migrant workers continue to enter the United States in significant numbers, hoping to find work here. In fact, in recent months, under the Trump presidency, the number of unauthorized immigrants crossing our Southern border has spiked. In February, some 66,450 immigrants were apprehended while crossing the border, an 11-year high, though illegal immigration numbers overall have been trending downward. We can’t highlight that fact, however, without also acknowledging that many U.S. farms, ranches, orchards, restaurants, construction firms, landscaping companies, etc., actively seek to employ these migrants. We encourage them to come here. We arguably even need them to do this work. Many may not realize, however, that the crude description of these migrants as “illegal immigrants” is a relatively recent phenomenon, especially in the context of our southern border. In fact, until one very specific year in our history—1965—Mexican migrants crossing the U.S. border for work wasn’t considered much of an issue; they just came. For much of our history, it wasn’t even possible to immigrate here “illegally.” There were no laws to break simply by coming to the United States. From 1880 to 1914, we turned away just one percent of the 25 million European immigrants who made it to our shores. That last year, 1914, served as a watershed year because we choked off transatlantic immigration significantly during World War I. One particularly notable restriction on immigrant flow did happen before then though. 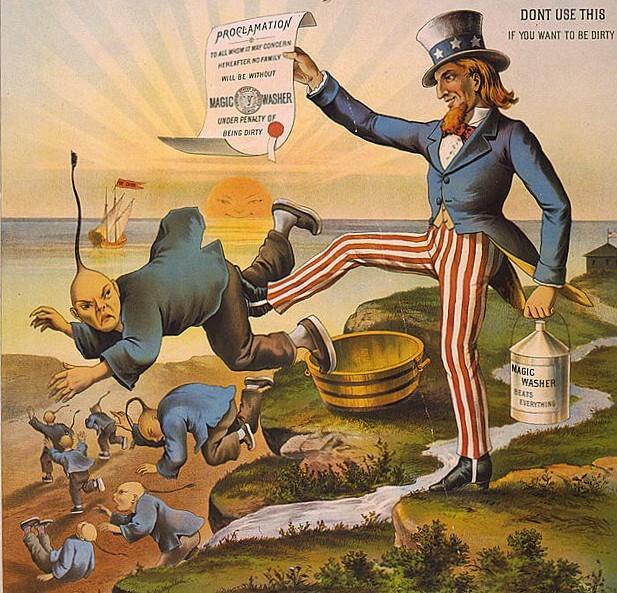 The Chinese Exclusion Act of 1882 prohibited all Chinese laborers from entering the United States. That act was based in fears and grotesque stereotypes about the Chinese bringing disease and depressing wages. It bears the dubious distinction of being the first act created to prevent an entire nationality or ethnic group from immigrating to the United States. It came on the heels of the Naturalization Act of 1870, which prevented Chinese women from entering the country and prevented Chinese immigrants from becoming citizens. And then World War I triggered a series of acts, motivated by xenophobic sentiments, that provided justification for a series of new immigration restrictions in 1917, 1921, and 1924. The Immigration Act of 1917 required all new immigrants to pass a literacy test and pay a tax to mitigate any future expenses they might incur. It created an “Asiatic barred zone,” meaning immigrants were not allowed from many countries in Asia and the Pacific Islands. Interestingly enough, the act excluded immigrants from Canada and Mexico, and Mexican migrant workers did not have to pay the tax because the government assumed they would return home with their earnings. 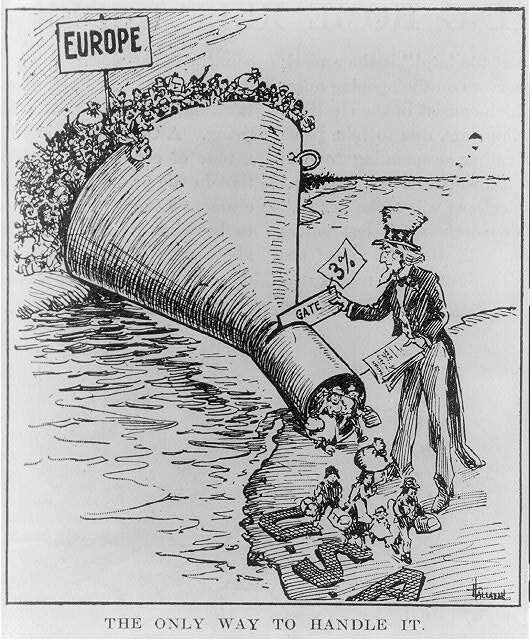 In 1921, the U.S. passed the Emergency Quota Act, which was designed to prevent a stream of Jews fleeing persecution from immigrating to the United States. For the first time in our history, we put caps on the number of people who could immigrate. And we developed a formula that put a quota on how many people from any country could come to the U.S. based on how many people from that country already lived here: three percent. It gave Western Europeans, who were predominately white, a distinct advantage when attempting to immigrate here. And so our increasingly nativist immigration policy continued to evolve, destined to be endlessly updated and fiddled with. It’s noteworthy, however, that even during this time, we remained particularly open to Mexican immigrants. In fact, as late as 1942, the U.S. was enacting legislation that made it easier for Mexicans to live and work here. 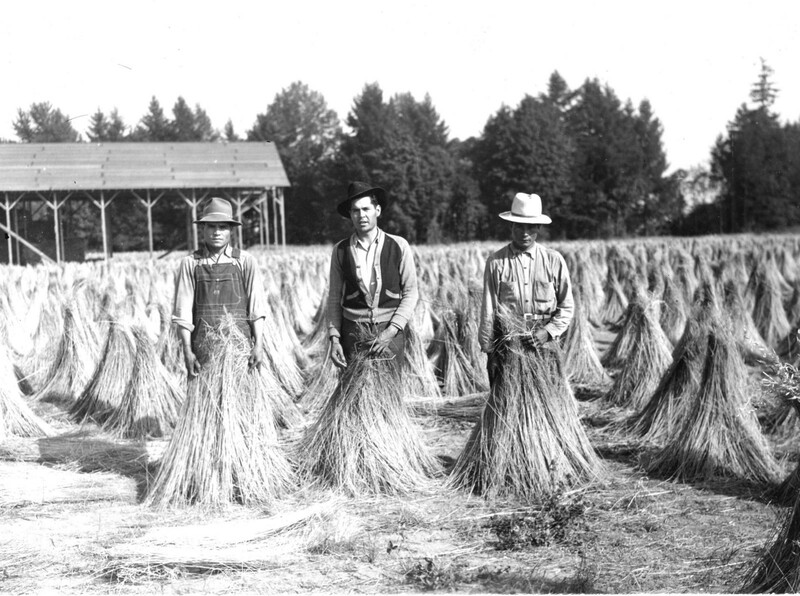 The Bracero Program was initiated then, and it enabled millions of Mexican men to work here, primarily on farms and orchards, and to return home with their earnings. It also supposedly guaranteed these workers food and sanitary working and living conditions. The program lasted until 1964 and provided migrants with the legal means to earn wages in the United States. Until this point in our history, any fear of “illegal immigration” from Mexico was pretty much nonexistent. The next year, unfortunately, we passed legislation that has damaged our immigration relationship with Mexico to this day. In 1965, the U.S. government passed the Immigration and Nationality Act also known as the Hart-Celler Act. Framing is everything, and this act was presented to the public as progressive legislation that sought to end some of the discriminatory practices established by those earlier acts. Ostensibly, Congress scrapped the existing visa system of quotas with the expressed intention of limiting discrimination against Asian and African immigrants. The new legislation limited all countries to 20,000 visas per year and capped the annual number of immigrants entering the U.S. at 170,000 visas. “The bill will not flood our cities with immigrants,” Democratic Sen. Ted Kennedy remarked at the time. “It will not upset the ethnic mix of our society.” But Kennedy was wrong about the efficacy and impact of the bill—particularly in respect to our friends to the south—and, sadly, so were the various immigrant advocacy groups who supported the blunt legislative instrument at the time. As discussed by On the Media, we were admitting 50,000 Mexicans to the United States every year until 1965. (In fact, in the 1920s, we allowed several hundred thousand Mexicans to immigrate.) As Princeton sociology professor Doug Massey points out, although we share 2,000 miles of border with Mexico and they have a population of 130 million, and despite the fact that they are our second-largest trading partner, Mexico after that point in time got the same number of visas as the countries most remote to us. Given the population differences between countries at the time, immigrants from my hometown of Perth, Western Australia—some 18,700 miles from the United States—essentially had a better chance of securing a visa for entry into the United States than a migrant worker coming from Tijuana, Mexico, which shares a beach with San Diego. As Francesca Pizzutelli demonstrates in her tweet above, the term “illegal immigration” itself essentially didn’t exist until around the 1930s. Even then, it remained relegated to scarce and occasional mentions in publications for decades. The terms “illegal alien” and “illegal immigrant” didn’t break into common conversation until about the 1970s and ’80s. And upon close inspection, the much blander term “irregular migrant,” used in minuscule numbers from the early 1900s onward, actually seems to refer to bird migration for most of the 20th century. “Illegal immigration,” therefore, is a relatively recent concept in the United States, especially where our southern border is concerned. Certainly, we may have discovered valid reasons to gradually tighten the flow of immigration over the years, but the methods used to do so often lacked meaningful nuance and were enabled by some of our darkest impulses. Doug Massey also argues—quite convincingly—that the more recent efforts to further militarize our borders have actually encouraged undocumented workers to stay here instead of returning to Mexico with their earnings as they often had before within a year or so of coming here. We created this problem, and we have done little to alleviate it. And, as we cruise through a Trump presidency, many of our most grimly held prejudices have only been enflamed, preventing us from making any progress on the issue at all. Writer and photographer with interests in immigration, privacy, security, culture and digital design. 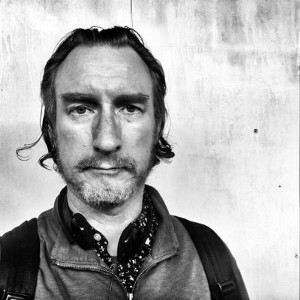 Day jobs in UX at SapientRazorfish and faculty at SVA.